REUTERS/Jean-Paul PelissierA researcher of the Atomic Energy Commission (CEA) checks an Ebola diagnostic test in Marcoule, November 3, 2014. 1. In a tentative deal, Russia might convert Iran’s giant stockpile of uranium into fuel rods for the country’s only nuclear power plant, which would simultaneously relive Western concerns that the uranium could be used to make a nuclear weapon. Iraq is on “high alert” for Jihadist attacks. 3. The former girlfriend of Rurik Jutting, the British banker suspected of killing two women in Hong Kong, claims he was suicidal. 4. 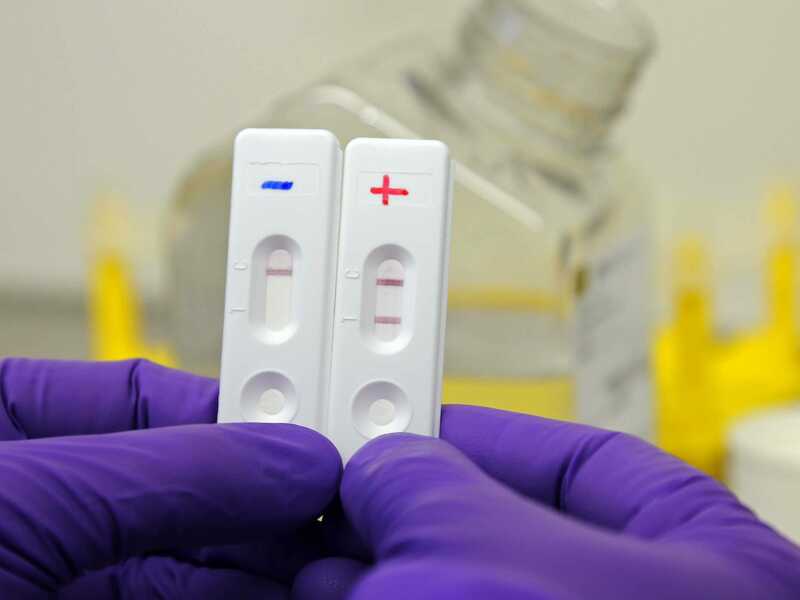 French researchers have developed a 15-minute test for the Ebola virus, called eZyscreen, which uses a drop of blood or urine to quickly diagnose patients. 5. Taylor Swift had pulled all of her albums off Spotify, reportedly a move to boost CD sales to make the singer’s record label more attractive to potential buyers. 6. Venezuela announced it will raise the minimum wage by 15% starting in December to protect workers from runaway inflation. 7. The Navy SEAL who shot Osama bin Laden has reportedly been identified and will be the subject of a Fox News documentary released later this month. 8. Canada launched its first airstrikes against Islamic State fighters in Iraq on Sunday. 9. Germany’s Protectionist won Australia’s Melbourne Cup on Tuesday. 10. Bill Gates, who this year has donated $US50 million to fight Ebola and $US200 million to combat malaria through the Bill & Melinda Gates Foundation, warned that world is completely unprepared for epidemics. An Australian man jumped onto a whale as it was being eaten by sharks — and immediately regretted his decision.